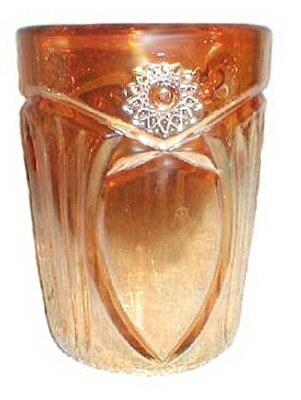 WALTRAUT - 5.25 inch exterior design - (1930s). 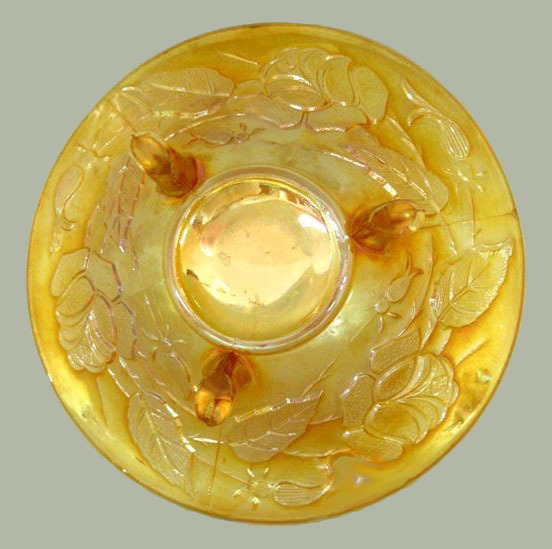 WALTRAUT – a rose design having cameo-type pattern rather than intaglio. 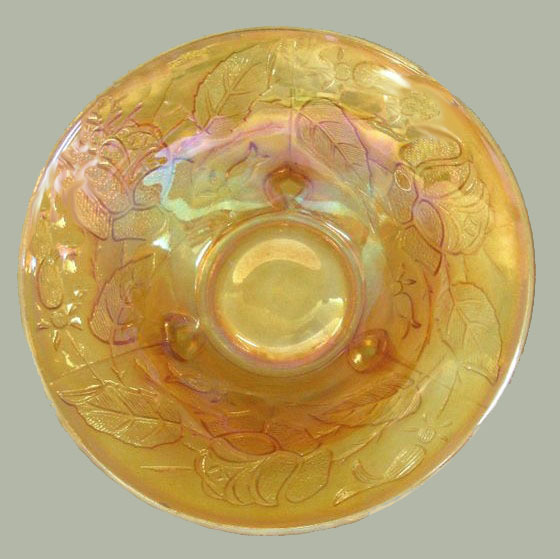 Marigold examples have been found in Denmark and one bowl with a low-flare in a Reichel auction, early 2009. 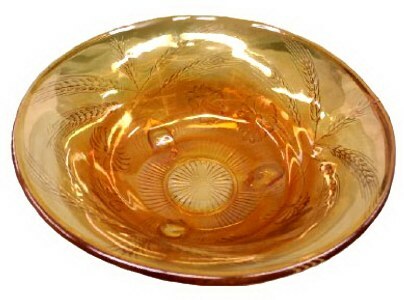 Rose bowl shape and those having flared styling, offer feet which have been ground flat. 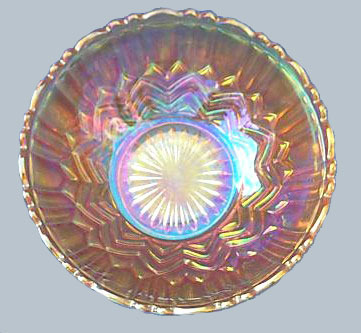 This is believed to be among some patterns introduced during the 1930s. CIRCLES & GROOVES Vase in marigold weighs 3 lbs. By Walther, Germany, called PISA. 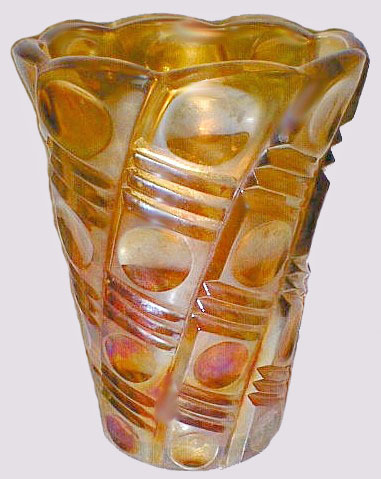 CIRCLES & GROOVES vase: Some vases of this style are thought to have been produced as late as the 1950s. Diagram of CUT OVALS from the August Walther Catalog. 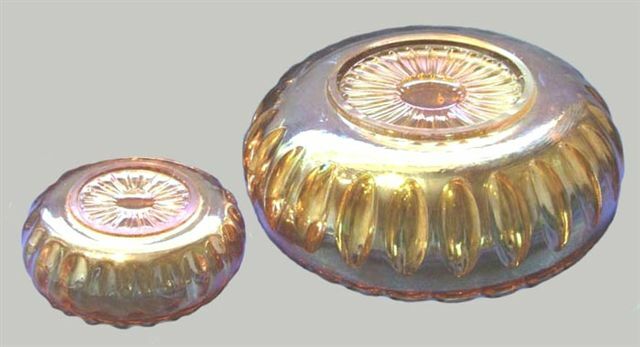 CUT OVALS - Walther Glass of Germany. 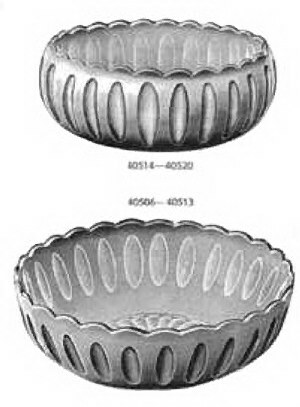 Exterior - CUT OVALS Bowls. 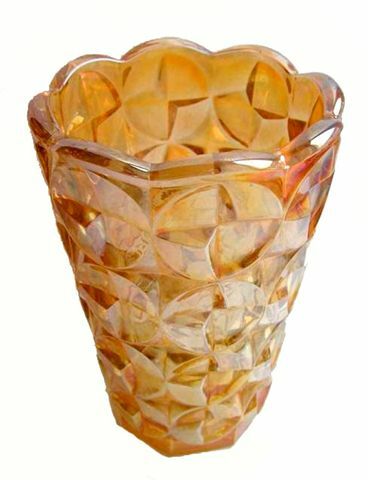 JOSEF'S PLUMES vase - 8.5 in. high. Possibly early Walther & Sons, Germany (1920-1930). Left - HOBSTAR & SHIELD 8 in. 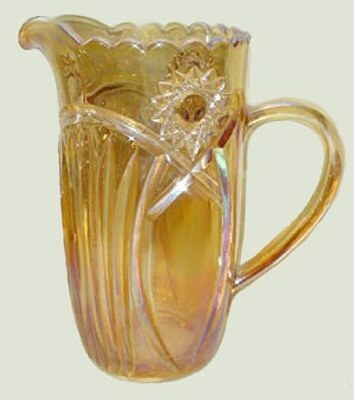 Pitcher-Walther. Right - HOBSTAR & SHIELD by Walther & Sons, Germany. 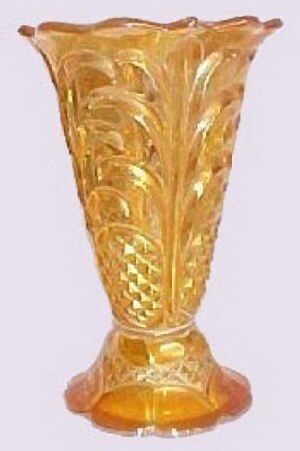 Walther Vase - 6 inch. 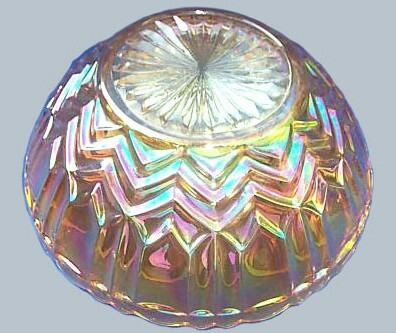 CHEVRON Bowl - 5.75 in. diam. x 1.5 in. high. 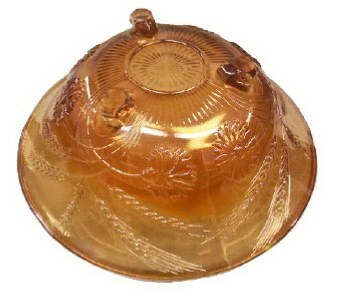 BUKEBERG Bfooted bowl - aka-Wheat or Cornflower - 10 in. x 5 in. high. have not submitted to the righteousness of God.